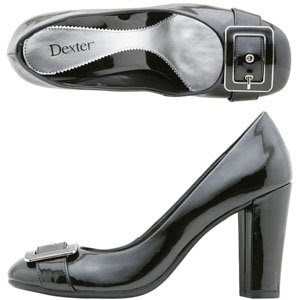 I used to have a pair of Delman shoes that were black patent leather with a huge pilgrim buckle. My cousin Phil teased me constantly about those shoes. He'd do the John Wayne accent, or joke about turkey hunting and Thanksgiving or, of course, the Mayflower. Finally I came home one day to find him dressed up in one of my god-awful outfits (this was the 80's) and The Pilgrim Shoes. This from the Marine who was learning to fly F-18's in Quantico. 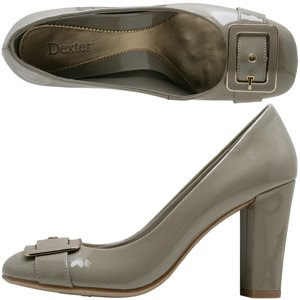 Dexter "Mayflower Buckle Pump" from Payless on 34th Street. Pilgrim enough for Phil. That is so funny, Pilgrim shoes! See if you can snag a pair in Phil's size, too. Too grandma for my blood.